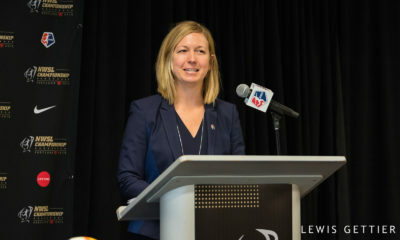 A month and a half after the franchise locations and format of the National Women’s Soccer League was made public, each club now knows which national team players will be on its roster. The league made the announcement in a press release on Friday. Players submitted their top choices of places to play and teams submitted their top choices for desired players, all to a third party which helped allocate the players. Boston Breakers: Sydney Leroux (USA), Heather Mitts (USA), Heather O’Reilly (USA), Adriana Leon (CAN), Rhian Wilkinson (CAN), Anisa Guajardo (MEX) and Cecilia Santiago (MEX). Chicago Red Stars: Shannon Boxx (USA), Amy LePeilbet (USA), Keelin Winters (USA), Erin McLeod (CAN), Carmelina Moscato (CAN), Maribel Dominguez (MEX) and Dinora Garza (MEX). 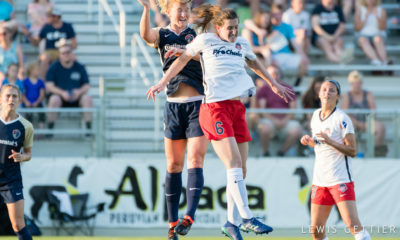 FC Kansas City: Nicole Barnhart (USA), Lauren Cheney (USA), Becky Sauerbrunn (USA), Desiree Scott (CAN), Lauren Sesselmann (CAN), Renae Cuellar (MEX) and Marylin Diaz (MEX). Portland Thorns FC: Rachel Buehler (USA), Tobin Heath (USA), Alex Morgan (USA), Luz Saucedo (MEX), Marlene Sandoval (MEX), Karina LeBlanc (CAN) Christine Sinclair (CAN). Seattle Reign FC: Megan Rapinoe (USA), Amy Rodriguez (USA), Hope Solo (USA), Kaylyn Kyle (CAN), Emily Zurrer (CAN), Jenny Ruiz (MEX) and Teresa Noyola (MEX). 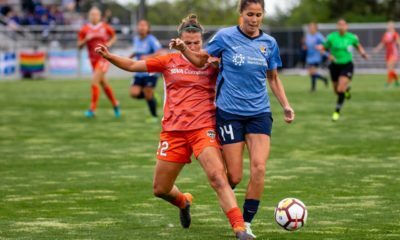 Sky Blue FC: Jill Loyden (USA), Kelley O’Hara (USA), Christie Rampone (USA), Sophie Schmidt (CAN), Melanie Booth (CAN), Monica Ocampo (MEX) and Lydia Rangel (MEX). Washington Spirit: Ashlyn Harris (USA), Ali Krieger (USA), Lori Lindsey (USA), Robin Gayle (CAN), Diana Matheson (CAN), Alina Garciamendez (MEX) and Teresa Worbis (MEX). Western New York Flash: Carli Lloyd (USA), Abby Wambach (USA), Bryana McCarthy (CAN), Jodi-Ann Robinson (CAN), Veronica Perez (MEX) and Pamela Tajonar (MEX). 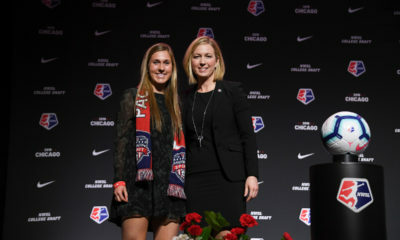 Free-agent signings are expected to start right away, and the first NWSL college draft will take place a week from today, on Jan. 18, at the NSCAA Convention in Indianapolis. Stay tuned to The Equalizer for analysis of the allocation and individual team reactions.